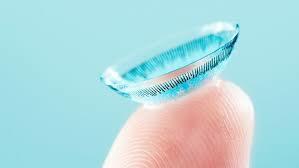 Contact Lenses -we have them all! We carry them all! Whether you need One Day, Extended wear or lenses for astigmatism or bifocals, the professionals at Omni Eye can fit most people. Our advance 3D technology combined with our eye doctors professional recommendations will customize your lens to fit precisely on your cornea. Our expertise and advance technology enables us to fit the most challenging contact lens patients. Contact lenses are FDA regulated medical devices…it is crucial that each patient’s ocular health and CL prescription be evaluated by an optometrist on an annual basis. We value your time. We can have your contacts mailed directly to you !